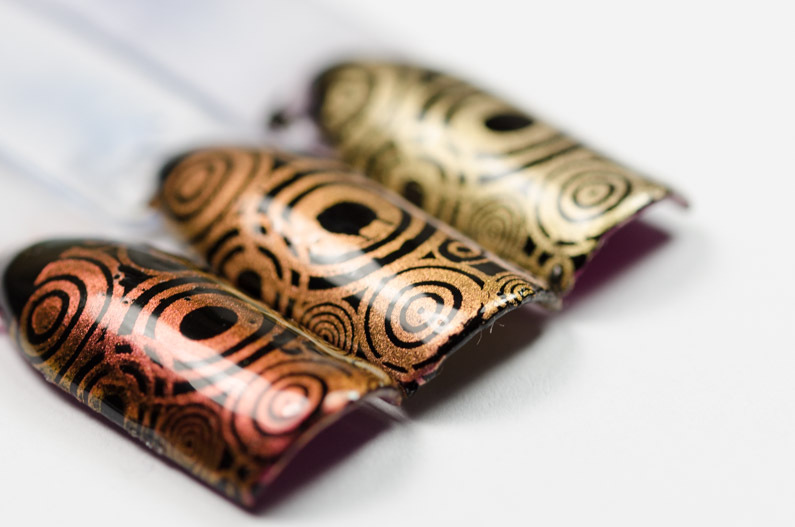 Colour Alike Color Travel Collection consists of three colour shifting stamping polishes inspired by galaxy. 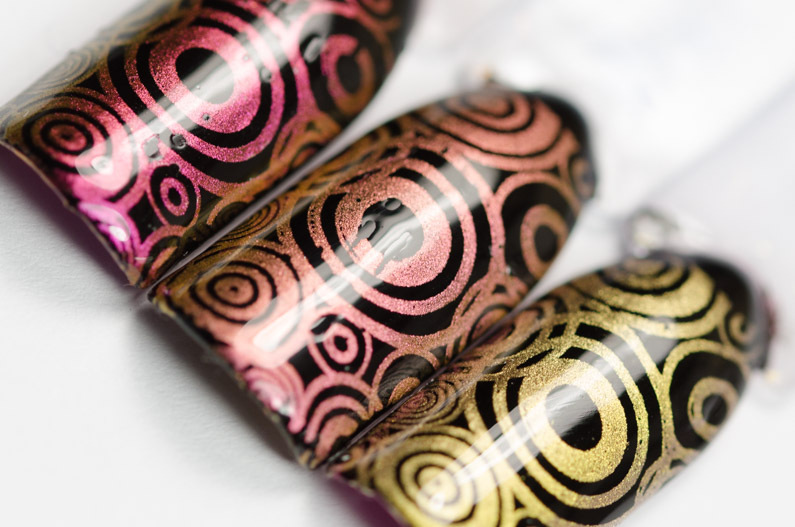 Venus (left) is a metallic pink stamping polish with fuchsia to gold colour shift. Venus has the most vibrant duo chrome of the three. 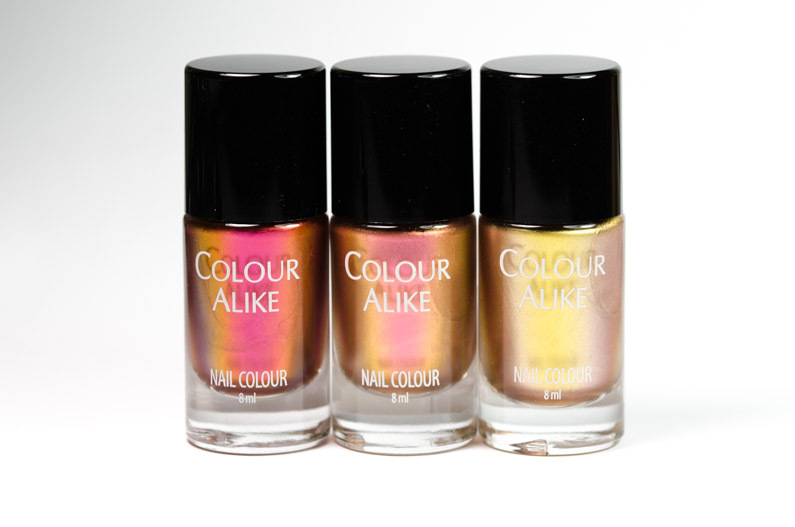 Mars (middle) is a metallic peach stamping polish with pink to gold colour shift. 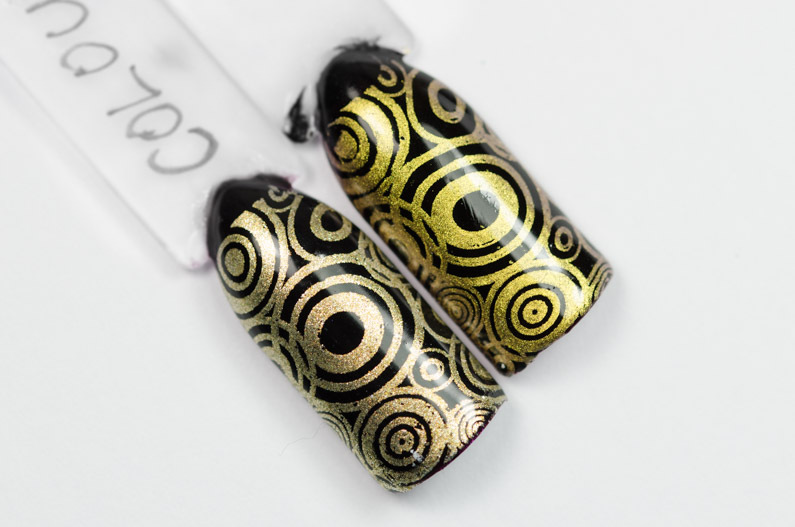 Supernova (right) is a metallic golden stamping polish with a subtle gold to pink colour shift. It is the least duo chrome from the three. Below you can see the shift of the colours. Venus being the best in changing colour and Supernova the worst, with barely any change. When I first got the polishes I found Supernova quite similar to Golden Queen (swatch here). On the image below you can see them side by side, Golden Queen on the left and Supernova on the right. Not dupes at all but both golden in colour with metallic finish, although, a different shade of gold. Therefore owning both has been justified lol. I purchased the collection from Colour Alike website here. These polishes cost a bit more than the usual stamping polishes, each being Eur 6.50 for a 8ml bottle. Thanks for checking out my Colour Alike Color Travel Collection review and swatches. 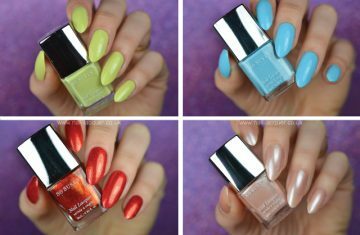 The latest collection of stamping polishes called Spring Break, is on the way to me right now and I will blog about it soon :) Until then, you can check out my other Colour Alike reviews and swatches here.